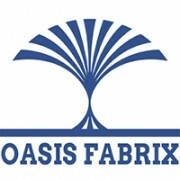 Oasis Fabrix dedicates effort to develop more efficient paper machine clothing products and filter fabrics for dewatering, drying, pressing, and screening. We help our customers improve their performance and productivity by innovative fabrics and felts for forming, pressing and drying of paper web in paper making. We also specialize in the design and engineering of filter fabrics for belt press filter and vacuum belt filter. Working as a reliable business partner who understands our customers' operations and expectations, we develop and deliver solutions and custom-designed fabrics to resolve their issues during the manufacture.